Birdwatching telescopes: A beginner’s guide. 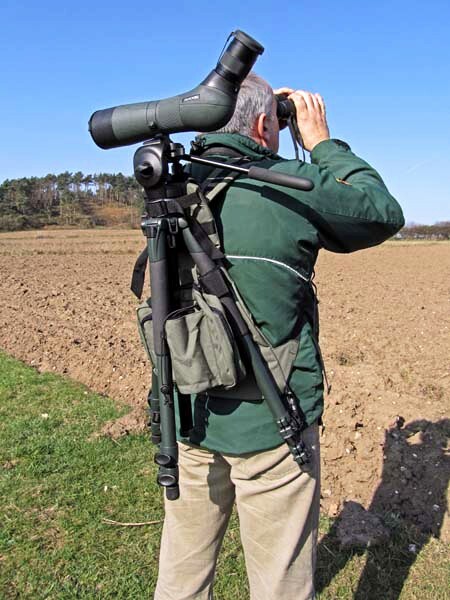 After some good binoculars, a telescope is the next most important tool for the birdwatcher, offering higher magnifications for detailed and long-range viewing. Here I will be focusing on telescopes for birdwatching which are almost exclusively of the refracting type, using prisms to fit a long focal length in a compact body in the same way as binoculars do. The other kind of telescope often seen is the reflecting type which uses two mirrors to focus the light into an eyepiece. This type of scope is favoured for astronomy because it is easier to make very large high-quality mirrors for good light gathering than it is to make large lenses of the same quality. Amateur astronomer will use scopes with mirrors of 8 inches (200mm) or bigger, but a lens for a refracting telescope of this size would very difficult to make and extremely expensive. Astronomical scopes are typically set up semi-permanently in one place, but birdwatchers require scopes to be rugged, weatherproof and portable, making the refracting type a much better option. So what do scopes do that binoculars can’t? Binoculars mostly have a magnification of between 7x and 12x, with 8x and 10x being the most common and versatile. Scopes however, typically have magnification between 15 and 75x depending on the eyepiece and size. As with binoculars the brightness of the image is determined by the magnification and the diameter of the front (objective) lens. Our video on binocular specifications is worth a look because the same principles apply to telescopes. Basically the larger the objective lens, the brighter the image will be, and the higher the magnification, the darker the image becomes. Larger scopes, typically with a 77mm-100mm objective lens, are the best for a bright image and higher magnifications, but are heavier and less portable than mid-sized scopes, typically with 60mm-70mm objective lenses. The smallest and lightest are scopes like the Opticron MM3 ED, or Vortex Razor 50 HD which with objective lenses of 50mm are ideal for travel and carrying long distances, but compromised in poor light. Whilst the brightest image and highest magnifications may be appealing, I have known people with large heavy scopes that they often leave at home or in the car because of the inconvenience carrying them. 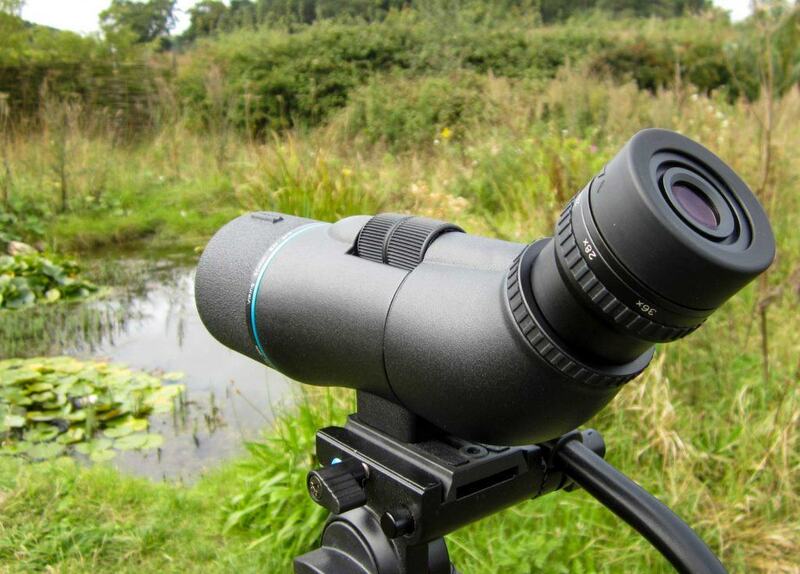 After you have settled on a size of scope suitable for your needs the next decision is the eyepiece. Most scopes come supplied with a zoom eyepiece usually covering the range 15-45x magnification on 60-65mm scopes, and 20-60x on 80-85mm scopes. Some manufacturers offer a choice between a zoom and a range of fixed magnification eyepieces (for example 20x, 30x and 45x). These are more restricted than a zoom in that you cannot change magnification without changing eyepiece. 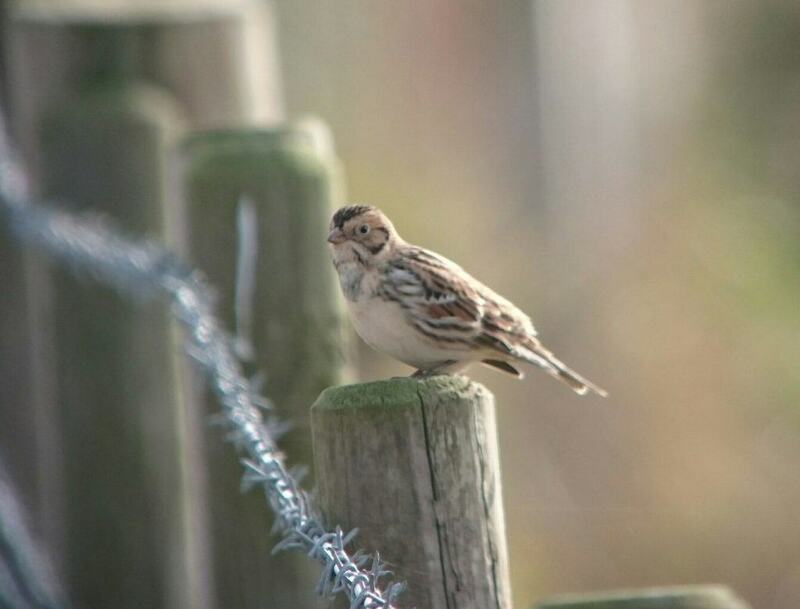 They are still popular with some birders because you get a wider field of view and often a slightly brighter and sharper image compared with a zoom at the same magnification. At the top of the range Swarovski, Kowa and Leica make wide angle zoom eyepieces which offer a field of view similar to the fixed magnification eyepieces. As with binoculars, the main improvement as you go up the price range is the quality of the glass. The build quality does increase too, but this is not a criticism of the construction of the budget and mid-range scopes, which are for the most part designed very well to cope with use in field. The same terminology referring to glass types and quality in binoculars applies here also (there is a short glossary of commonly used terms and acronyms at the end of this post). Another feature that varies between manufactures and models is the focusing control. There are basically two main types: a wheel mounted on the prism housing and a ring around the whole body like you would find on a camera lens. Some scopes with the wheel type have two wheels, one high geared and one low geared, for fast and precise focusing. Which one of these systems is right for you is a matter of personal preference and both types are quickly adapted to. A Kowa 883, showing a dual control focusing wheel and angles eye-piece. While most scopes are waterproof and fairly rugged, another popular accessory is a stay-on-case. These add an extra layer of protection to the scope and eyepiece keeping the outside in better condition and, as the name suggest, stay on the scope when in use. With the high magnifications offered by telescopes a suitable tripod is essential to get a steady view. All telescopes and cameras use a standardised screw thread size to fit them to a tripod. Most modern tripods have a quick release system that allows you to remove and refit the scope without having to unscrew it. These work by using a small metal plate that can be screwed into the foot of the scope, which then clips into the tripod head. Some tripods come as a complete kit of legs and head, others you can choose the best combination for you requirements. The size of your scope will influence the type of tripod you will need. To get a steady image with a big heavy scope you will need a bigger, sturdier tripod than for a small lightweight scope. Another factor that affects the weight of a tripod is the material it is made from. Most low to mid range tripods are made from lightweight aluminium tubing, but the top of the range are carbon fibre. The same qualities that make this material ideal for sports cars and aircraft make for strong, ridged and light tripods. Have a look at our website or visit us at Glandford or Cley for our full range of telescopes and tripods. Glossary of frequently used terms and abbreviations. ED, HD, HR. Terms used to denote higher-quality glass models, HD standing for High Definition, ED usually standing for Extra-low Dispersion, and HR standing for High Resolution. These terms are not standardised, one company’s standard glass can sometimes be as good as another’s HD. With Swarovski HD denotes models with fluorite lenses. Prominar is a term unique to Kowa and again denotes the higher quality glass versions, including the impressive Kowa TSN-883 model with its 88mm objective and pure fluorite lens. Eye relief. This is the distance that your eye should be from the eyepiece lens to get the optimum image. Spectacle wearers often need a longer eye relief when using a scope or binoculars with their glasses on. Nitrogen filled. Waterproof scopes and binoculars are often filled with a dry, inert gas (most commonly nitrogen or argon) to prevent internal fogging. SOC. Stay-on-case. A protective covering for telescopes with flaps to uncover the lenses and focusing control without having to remove the scope from the case.